While great ambience and food are a winning combination when it comes to cafes, the offer of free Wi-Fi just adds to their appeal. Especially for those of us who can’t help but miss the constant buzz of our smart devices, whether it is to post that latest Snapchat story or to complete some pending work. 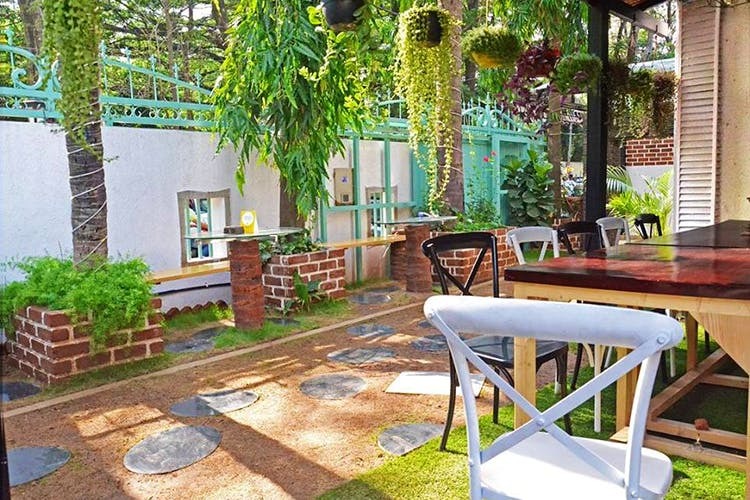 If you’re in Koramangala and looking for such a spot, where you can sit back and work (or chill), here’s our pick of cafes in the hood with free Wi-Fi. For all you people who love hookah, come to Hungry Hippie for the lip smacking food, multitude of hookah flavours and of course, free Wi-Fi! A truly Insta worthy place, click away those selfies with the Hippie Baba for all your friends to enjoy. With courteous folks who serve up delicious food, Echoes believes in the new age need that most of us look forward to in a café – Wi-Fi. Sit back, relax and enjoy the farm fight pizza or butter chicken thali along with a side dose of social media! Or, feel free to work on that presentation for work! For those of you who cannot stay off the grid for more than 10 minutes, you can sip a cuppa at Third Wave and enjoy a free ride on the Internet highway! While you are catching up on your social media feed, sip their delicious cappuccinos with those heavenly skillet cookies – they are to die for! It's also a place to meet people from the start-up world and network. Some days, the LBB Crew works out of here too! A typical café with pastas, pizzas, burgers, milkshakes and many more, this café is definitely a place out of current time. The white decor makes you calm, so maybe take those difficult projects here, and finish off in peace. Get your hookah on along with some Devil’s chicken to indulge in. One of those places that fills up during the weekends, we definitely recommend making a reservation to get in on the weekend action. If you're a freelancer and want to work in a vibrant environment, Dialogues is just perfect. There’s free Wi-Fi and a whole lot of books that would attract all the bookworms. There are plenty of board games as well. So if you want to have a productive work sesh with some great food to go along, head straight here! Oh yes, you read it right. Starbucks has free Wi-Fi. A sip of their mochaccino, a bite of their croissant and the comfortable seating in a corner is all you need to have a proper session of work or even have a productive meeting with your team. A typical café atmosphere, Smise has delicious food that you can sink your teeth into; just after sharing with the world the work of art they present on your plate. What’s more? Come one and all and enjoy yourself from great food and free bytes on the Interweb highway! On the breezy first floor of Koramangala’s bustling Eat Street, Entropy offers innovative hookah combinations with a selection of the best food from the stalls downstairs and what’s more, you have free Wi-Fi too! Not conducive to work, really, this one's more for those quick social media updates. If you are having one of those days where you just want to be by yourself this café is a perfect place to settle in. Order up some delicious food along with a dose of social media (with free Wi-Fi), and make it a perfect date with yourself. Unless you have a legit other date!